·Details of coming Praise Masses in July & Fatima Challenge. 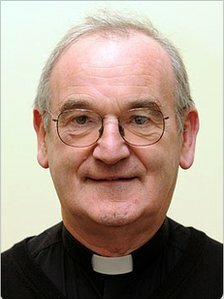 Speakers: Fr Ronnie Mitchell, S.M.M. but inside is pure gold!’ Charles Whitehead also recommends it. or ring 02083502542 or fill a form provided in most parishes. Invitation to both adults and students to the New Dawn Walsingham Pilgrimage Conference on behalf of the New Dawn Youth Ministry Team. The conference is from the Monday 1st to Saturday 6th August and the theme this year is ‘Thy kingdom come, Thy will be done’. The New Dawn conference is run by the Prince of Peace Community, attracting up to three thousand people from all over Europe to participate in an event spanning six days, with a comprehensive programme to suit people of all ages. Attendees experience the power of the Holy Spirit through daily celebration of the Eucharist, Adoration, Healing and Reconciliation Services, and Praise and Worship and hear from a wide range of UK and International Speakers. The highlight of the week is a rosary procession and Mass at the site of the Holy House at the Priory Grounds in Little Walsingham. This year sees New Dawn run for its 25th year, and in that time it has grown to introduce conferences in Ireland, Scotland and Uganda. We recognise the need to encourage more young people to renew their relationship with God and as such, in this anniversary year, we are promoting the conference more than ever before. For young people the conference presents an opportunity to meet new people, ask questions about their faith and discover a new side to Catholic Church. The youth programme is divided into three streams: 11 to 14 year olds, 15 to 18s and 19 to 25+s in order to ensure that topics discussed are at an appropriate level of maturity and to encourage fellowship between participants. We cater for people from varying backgrounds, and from different levels of spiritual maturity, so that all who attend feel included and able to deepen their relationship with God no matter where they have come from. The New Dawn conference fee for the week is a suggested donation of £85 for those aged 21 or over, and £30 for those younger, with a pro rata donation for registration for one day. Most attendees camp in the surrounding fields, with showering facilities, either on a family camp at £6 per night, or those aged between 16 and 25 can choose to camp on the youth site itself at £5 per night, and meals cost £45 per person. The conference fee is suggested donation only in order to allow anyone to attend, regardless of his or her financial situation, but we do ask that if you can pay the full cost that you do so. 1. New teaching from The Centre for Action and Contemplation. Loving the Two Halves of Life Conference Father Richard, Father Ronald Rolheiser are joined by Edwina Gateley in this dynamic conference. These three spiritual guides share the fruit of their experiences to lead us through the stages of spiritual development. Enjoy the prayer, friendship and peace of the AC UK Summer Conference at Swanwick. Roy and Melanie Fields are over from America and are having Revival meetings. They are based in Swansea but travelling to different places. And they are staying in Wales, until God directs them to go!